On Monday, the U.S-backed Syrian Democratic Forces (SDF) who drove the Islamic State from its last strongholds called for an international tribunal to prosecute hundreds of foreign fighters rounded up in the nearly five-year campaign against the extremist group. The administration affiliated with the Kurdish-led SDF said a tribunal is needed “for justice to take its course,” particularly after countries have refused to bring home their detained nationals. The SDF has captured more than 1,000 foreign fighters, including many from Western countries. “We don’t have other options,” Abdulkerim Umer, an official in the administration, told The Associated Press. “No one wanted to take the responsibility (of repatriating their nationals). We can’t put up with this burden alone.” Asked about the tribunal proposal in Washington, U.S. special envoy for Syria and the anti-IS coalition, Jim Jeffrey, said: “We’re not looking at that right now.” In addition, the SDF is also caring for thousands of foreign women and their Syrian-born children — many the families of ISIS fighters — who fled to a refugee camp in northeastern Syria. Like the fighters themselves, many foreign leaders are also apprehensive about repatriating women who were not necessarily fighters but were otherwise actively engaged in the work of the terrorist organization. On Friday, the captain of a Libyan oil tanker that was hijacked by African migrants after they realized they were being returned to Libya shared his ordeal, highlighting the ongoing regional and global migration crisis. Nader el-Hiblu, the 42-year-old Libyan captain of the El Hiblu 1 ship, said he and five other crew members feared they could be killed during the “horror” that played out at sea. The tanker was traveling from Istanbul to Libya on Tuesday when the captain was contacted by a military aircraft alerting him of a boat with people who needed help. He picked up the 98 passengers but when they realized they were approaching the Libyan port of Tripoli, they seized metal objects and began smashing the ship and threatening crew members. El-Hiblu said the threats forced him to agree to their demand that he take them to Europe instead. 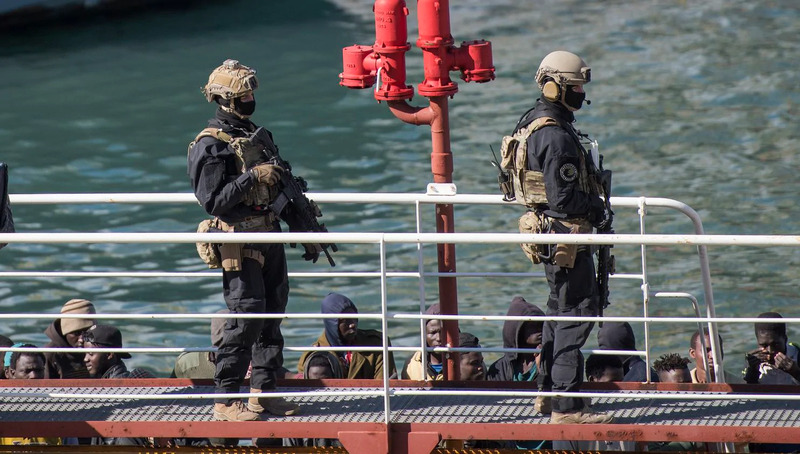 After Italy refused to accept the ship, the Maltese armed forces stormed the vessel and detained five men suspected of leading the hijacking. For years, the Mediterranean Sea has been a place of drama and death as desperate people from Africa and the Middle East board ramshackle smuggling boats with dreams of a better life in Europe. Last year, 2,299 people died in the sea trying to head to Europe, while 311 have died so far this year. Libya held rare municipal elections in nine communities on Saturday for the first time in five years. Turnout was low, however, at only about 38 percent. The North African state has been mired in conflict and chaos since the 2011 toppling of Muammar Gaddafi. In 2014, a heavily-contested national vote ended up splitting the country into rival administrations and parliaments. Libya created 120 municipal councils in 2013 in a bid to end 42 years of centralization and one man rule under Gaddafi. The municipal board of each council includes seven members, which then elects a mayor. There are plans for the other councils to hold elections as well. “We’ll go on each Saturday until 33 councils hold their elections then we resume after the holy month of Ramadan so all councils are elected,” Salem Bentahia, head of the elections commission, told Reuters. Also on Saturday, Egypt’s President Abdel Fattah al-Sisi made an announcement that he would be increasing the country’s minimum wage to 2,000 Egyptian pounds ($116) a month from 1,200 pounds. Sisi said the 67% wage increase would apply to all Egyptian workers and added that pensions would rise by 15 percent, with pensioners receiving a minimum increase of 150 pounds to take the minimum pension to 900 pounds. “This was supposed to come out on June 30. But I said this matter cannot wait,” the president said. Egypt has implemented a series of tough economic measures, including devaluing the pound, slashing energy subsidies and introducing a value-added tax, to help meet conditions of a $12 billion IMF loan. The measures have left many of Egypt’s nearly 100 million people struggling to make ends meet. At the annual Arab League summit on Sunday, members rejected the U.S. recognition of Israeli control over the Golan Heights and other Trump administration policies seen as unfairly biased toward Israel. It was an occasion of unity on one of the few issues that unites the regional bloc. 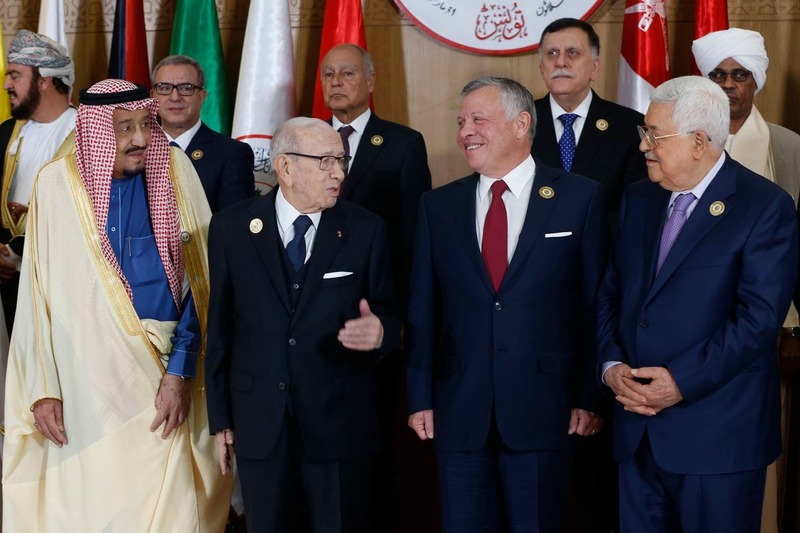 Arab leaders also reiterated their commitment to resolving the conflict based on the Arab Peace Initiative of 2002, in which they would recognize Israel in return for a full withdrawal from the Golan Heights as well as east Jerusalem and the West Bank, lands occupied in the 1967 war. Algeria’s President Abdelaziz Bouteflika (who announced his resignation on April 2nd) and Sudan’s President Omar al-Bashir both skipped the meeting as each faced growing discontent and massive popular resistance in their respective countries. In their final statement after the daylong summit, representatives from the 22-member league — minus Syria, which was kicked out in 2011 — affirmed that the Golan, a strategic plateau once used to shell northern Israel, is “Syria’s occupied territory,” but did not announce any further action. On Sunday, Reuters published a follow-up report on the fallout of allegations of sexual abuse of members of Afghanistan’s national women’s soccer team by Afghan Football Federation and other officials. President Ashraf Ghani ordered an investigation after Britain’s Guardian newspaper reported in November that senior figures linked to the women’s team alleged that some players had been molested by federation officials. According to the report, the treatment of the female players, even those who have not alleged sexual abuse, illustrates the Afghan culture’s complicated approach to handling matters involving both women’s sexuality and participation in sports. The allegations have resulted in missed paychecks after sponsors pulled out; taunts at international matches; and entreaties from parents to their daughters to quit playing. “Before I was proud to be a member of the team, but now it is a stigma to be part of the team and I feel ashamed to mention that I am part of the national soccer team,” said Fereshta Shaikh Miri, 23, who has played for the team for five years.